Kristi Toliver has had double-digit scoring for three consecutive games. Photo by Ned Dishman/NBAE via Getty Images. 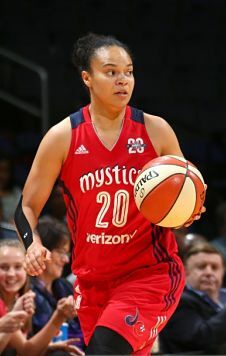 Washington, D.C. – The noise was positively deafening as the Washington Mystics faced the Seattle Storm on camp day in the nation’s Capital Tuesday. And in the end, Washington was absolutely dominating, as they ran over Seattle, 100-70. Elena Delle Donne led the way for the Mystics, scoring 25 points on 10 field goals in just under 25 minutes of action. Kristi Toliver scored 15 points – her third consecutive double-digit outing; Tayler Hill had 14 points and Tierra Ruffin-Pratt scored 11 points and grabbed 12 rebounds. Toliver’s performance was an especially bright spot for Washington. 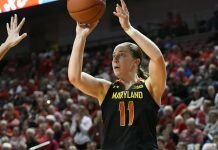 In the offseason, coach Mike Thibault sought her out in hopes that her championship experience and prolific scoring ability would help propel his team to the top of the league, and she seems to have found her stride over the last few games. Toliver shot 50 percent from the field in the Storm match up, going 3-8 from long range. A constant concern for the Mystics this season has been their ability to sustain a lead at the start of the second half. Against Seattle, Washington kept their lead intact, and even built on it further after pulling ahead, 56-31 at halftime, which is cause to believe they are heading in the right direction. Thibault was pleasantly surprised at how well his team performed during the second half. 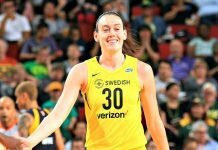 Crystal Langhorne had 15 points for the Storm, and Breanna Stewart and Ramu Tokashiki each added 11. Jewell Loyd, who has established herself as a capable offensive talent, was limited to only four points. 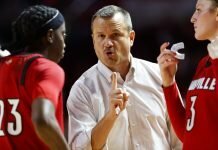 Seattle turned the ball over 23 times, resulting in 31 Mystics points. Coach Jenny Boucek said her team simply got outmatched. Washington is back at home Thursday to face the fourth-place New York Liberty. They now sit at third place in the league standings, riding a two-game winning streak.